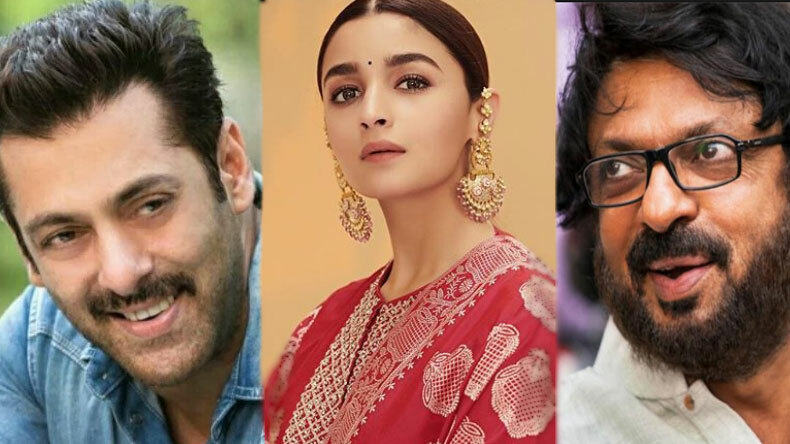 Filmmaker Sanjay Leela Bhansali is currently gearing up for his next film Inshallah which features Salman Khan and Alia Bhatt for the first time. The director seems excited about the project as he has already started searching for various locations for the film. As per a line producer, the director liked some spots in Haridwar and Rishikesh and will soon proceed to Varanasi. Filmmaker Sanjay Leela Bhansali is much excited for his upcoming film Inshallah which features Salman Khan and Alia Bhatt in lead roles. Last month, the director announced his project on Twitter and also revealed that the romantic number will be different from other love stories. Recently, the reports revealed that the hardworking director has been searching and researching for many locations in cities like Uttarkashi, Varanasi, Rishikesh and Haridwar. Recently, a line producer revealed that Bhansali visited Haridwar and Rishikesh and liked some spots. However, the director’s interest was not only limited to searching for spots or locations, he even attended the evening aarti which is held on the banks of river Ganga. Reports suggest that Sanjay now plans to head to Varanasi where he will further continue the research work for the locations in the coming days. The best thing about the film is Alia Bhatt and Salman Khan will be sharing screens for the first time and the project will also serve as a reunion for the actor and the director who will be working together after 20 years. Talking about Bollywood actor Alia Bhatt, the actor’s film Kalank has hit the screens today and is currently garnering a positive response from the fans as well as the critics. The film is a period drama film which features Varun Dhawan, Madhuri Dixit, Sanjay Dutt, Aditya Roy Kapur, Sonakshi Sinha. The film is helmed by Abhishek Varman and is produced by Karan Johar. Salman Khan is currently busy shooting for his upcoming film Dabangg 3, which is a sequel of Dabangg series. Some days back, he has completed the first schedule of the film in Indore with Bollywood actor Sonakshi Sinha. The film is directed by Prabhu Deva and is produced by Salman Khan and Arbaaz Khan. The film will hit the silver screens on Dember 16, 2019. The film also features Arbaaz Khan, Mahi Gill, Tinnu Anand, Nikitin Dheer in supporting roles.